Forget Apple and its iPhone, Lately it’s online search company Google. And a long-rumored phone from the search giant is the least of the industry’s worries. The 700MHz spectrum, which has been used to provide analog TV service, is considered the last piece of prime real estate left among wireless airwaves because it’s able to travel long distances and penetrate walls. 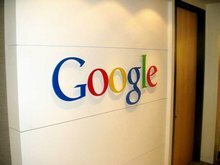 Google is asking the government to require that carriers let users download any software, content or services they want; use whatever device they want with the spectrum; sell access to the spectrum to other companies on a wholesale basis; and allow third parties to connect with the licensee’s network. Here’s what this means for anyone who cares to use the Internet over a wireless device: Once carriers move over to the 700 MHz band — which promises faster, stronger wireless data connections across the country — phone companies will not have the right to dictate to consumers what devices users can use on their network. This will be a win for Google , the search gaint can enter wirless world . The challenge for Google is this: It wants Google wireless phones to get search advertising. Can I use my jailbroken iPhone with Verizon or Sprint ?